Philip D. Ivey (also known as Phil Ivey or “The Tiger Woods of poker”) is an American poker superstar regarded as many of his peers to be the best all round poker player in the world. His numerous live tournament wins has placed him in 1st place on the all time money list of live tournament winnings with a whopping 13,8 million dollars. [adrotate group=”6″]The Tiger Woods of poker already knew from a very young age that he wanted to play poker for a living and living close to Atlantic City gave him ample opportunities to do so. His grandfather taught him how to play 5-card stud and tried to discourage him from poker by telling him about all the dangers of being a professional poker player. Obviously the warnings didn’t have an effect on young Ivey, who continued to rail every home game he could manage in order to practice finding player tells. Ivey could not wait until he turned 21 to play in the casinos of Atlantic City so he acquired a fake ID at the age of 18 (you have to be 21 in the US to legally gamble) with the name Jerome Graham on it. 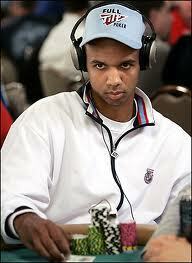 This ID has resulted in another Phil Ivey nickname – No Home Jerome. The “No Home” part refers to Ivey always being the last one to leave the tables. 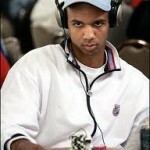 In the beginning it was an uphil grind for Ivey, at the Tropicana Casino in Atlantic City, but he was determined to break even and eventually he started beating the tables and laying the foundation for his poker bankroll. [adrotate group=”6″]As well as live tournament play, Ivey also masters cash games both online and live. This is a rare thing to see as many tournament players bleed out their bankroll in cash games and Vice Versa. He is a regular at the Big Game at the Bellagio casino in Vegas and is regularly involved in the biggest online pots on Full Tilt poker; battling it out with the likes of Tom Dwan Durrrr. His favorite online game is PLO and in 2008 he made an estimated 6,5 million $ on Full Tilt poker where he also holds a share as one of their featured pros. One of Ivey’s most famous live cash game wins came in 2006 where a group of poker players dubbed the “The Corporation” took on Texas billionaire Andy Beal in a 50000$/100000$ blind game. Early that year Beal had taken a cool 10 million $ from “The Coorporation” but that was before he met Ivey. Over a period of three days, Ivey was up 16,6 million $ before Andy Beal quit the game and hasn’t played since. Besides tending to his ever increasing bankroll, Phil Ivey enjoys all kinds of gambling including very large amounts on sports (a discipline where he allegedly does not perform as well in as poker). He also likes video games and has recently started playing golf. Ivey regularly takes prop bets against his poker peers. Recently he bet Tom Dwan Durrrr 1 million $ that he could go an entire year without eating anything that could move. 3 weeks into the bet Ivey got so tempted over a piece of chicken lying in front of him that he called Dwan and canceled the bet. They agreed on a settlement of 150000$.